Although the benefits are modest, more than 10 million disabled Americans and their families rely on the critical lifeline of Social Security disability benefits to put food on the table, keep a roof over their heads and often to pay for vitally important medications. However, finding your way through the complex process requires immense patience and maybe a little help. If you or someone you care about is considering applying for Social Security disability benefits here are five tips to maximize your chances for success. Tip #1: Determine Your Eligibility. Social Security maintains two main programs which serve as safety nets for Americans who are no longer able to work due to mental or physical disabilities. Social Security Disability Insurance (SSDI) is for those with a work history and who have paid into the Social Security system through payroll deductions. The second program is called Supplemental Security Income which is a needs-based program for individuals with little or no income and few assets. To be considered eligible for disability benefits, you must be under retirement age and have a severe impairment that makes it impossible to perform any work given your age, education, and past work experience. Your condition must be expected to last at least 12 months or result in death. The rules for eligibility are complicated so it is worth your time to do some online research or to contact us at Cuddigan Law for a free evaluation of your situation. Tip #2: File Your Application Right Away. The wait for disability benefits is frustratingly long. Typically it takes the Social Security Administration (SSA) three to six months to review your initial application. 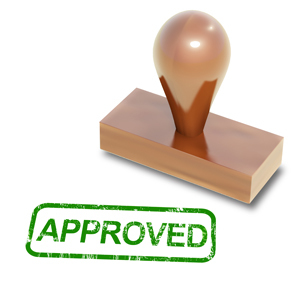 Only about one out every three initial applications are approved which means you will likely have to appeal that decision. The first level of appeal is a request for reconsideration. This usually takes another two to three months. Most reconsideration requests are denied. The second level of appeal is to request an in-person hearing in front of an SSA Administrative Law Judge and now you are in for the long haul. In Nebraska the current wait time for a disability hearing is more than 15 months. Because the disability process is so time-consuming, you will want to file as soon as you can. Many of our clients who had to stop working due to a medical condition held off applying because they hoped their condition would improve and in the meantime they exhausted their savings and retirement funds. If your condition improves during the disability process you can always withdraw your application. Tip #3: Don’t go it alone. Get help. The road to winning Social Security disability benefits is long and difficult to navigate. There are dozens, if not hundreds, of easily-made missteps along the way that can derail your disability claim. It helps to have a knowledgeable guide—an advocate who will fight for your rights. You have the right to have someone represent you and it makes a big difference. A Government Accounting Office study found that you are three times more likely to win benefits if you have a professional representative like an experienced Social Security disability attorney. Tip #4: Build your case. To be awarded benefits it is not enough to say you are disabled. It is not even enough for your doctor to say you are disabled. You have to prove your disability to skeptical Social Security bureaucrats. Medical test results, statements from occupational specialists, financial records, and bills from doctors, therapists, and counselors will help make your case for receiving Social Security disability benefits. As soon as you make the decision to apply for your rightfully earned Social Security benefits your next move should be to start collecting and organizing every piece of paperwork that proves you are disabled and in need of benefits. While we’re on this topic of healthcare, we strongly advise you not to let your health insurance lapse. You will need your insurance so you can continue to see your healthcare providers. The SSA will be expecting your medical file to have the current, up-to-date information about your impairments. Tip #5: Don’t give up. The process can be frustrating and disheartening especially when you are in real need of the benefits you paid for with your Social Security taxes. More than 60% of applicants who are denied Social Security disability benefits the first time they apply simply give up in frustration. Many people would have been eventually awarded benefits if they had kept going.